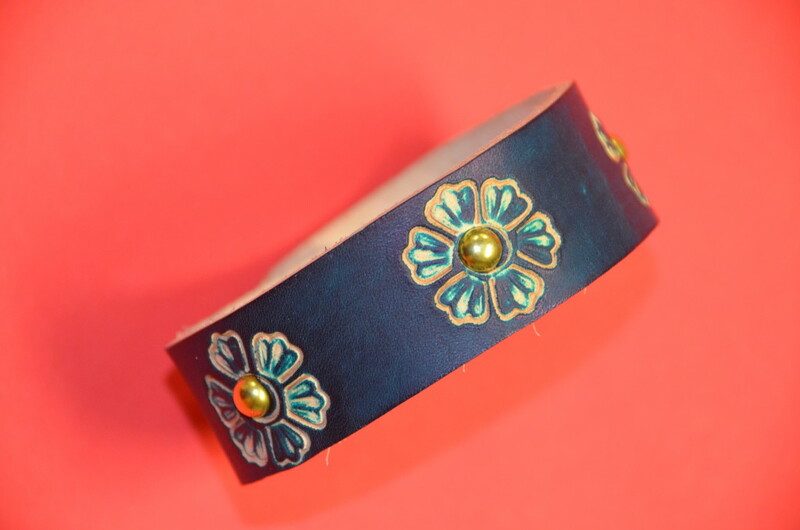 Striking floral bracelet…hand painted. 1″ width. Great with jeans. Blue + Green + Golden orbs. Sounds like a movie. Remember, if you like pattern A and color B, all combos are possible. Just give us a call. Cuff style bracelet…blue on blue antique look. Nice diamond concho. Celtic flair. 1 1/2″ width. 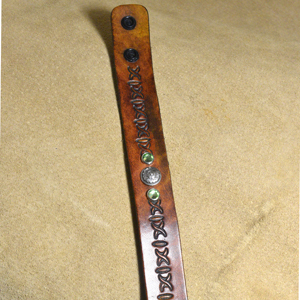 1″ bracelet with brown antique finish. Small center concho accented by twin crystal spots. Nice bling. 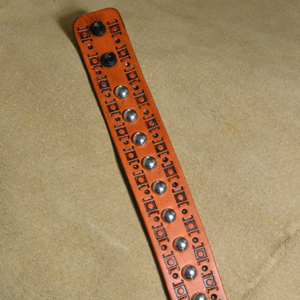 Tan antique bracelet with silver-tone spots. Very contemporary. 1 1/4″ width. Dark brown over tan. Nice pattern detail and accent spots. 1″. 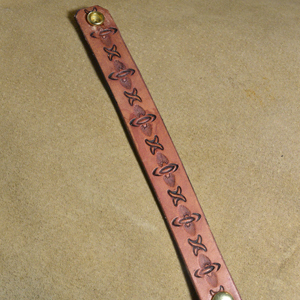 1″ wide, british tan antique. Nice tooling design. 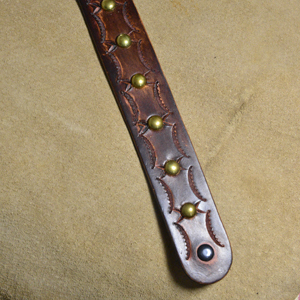 British tan antique on this 1″ bracelet. Nice pattern. Solid brass snaps. 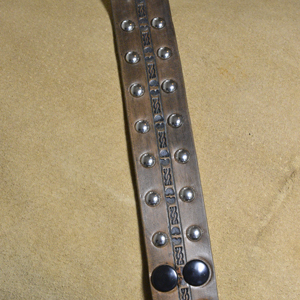 Silver tone spots complement the black antique finish on this cuff. This natty cuff features royal over light blue in a floral design. 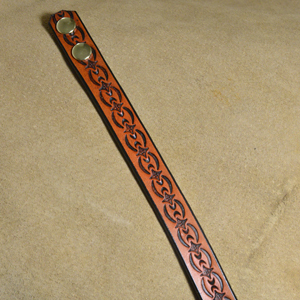 Highlight of the piece is a gorgeous celtic knot concho. Very current.